Wake up to reservations in your inbox! 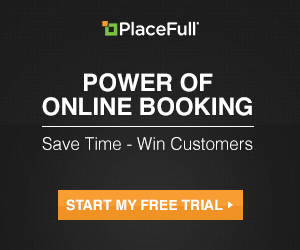 PlaceFull’s laser tag reservation software makes it easy to accept reservations in real time on your website and even your Facebook page. The convenience is two-sided – you get reservations at night when your business is closed, and your customers can book anytime. You’ll be surprised by how many people search and make reservations late in the evening. In fact, over 30% of reservations occur after 6:00pm, with the peak reservation time being at 9:00pm. Create: Add beautiful photos, descriptions, pricing, and availability to your listings. Consider listing birthday parties, fundraisers, group events, and bachelor/bachelorette parties. Publish: Easily embed your listings directly on your website and Facebook page. Run: Track your revenue, track reservations, and send reminder emails. Are you missing reservations at night? Consumers rely less on information from the big screen across the room, and more on the little screen in their pocket. The percentage of searches on Google continues to rise late in the evening, especially on mobile phones and tablets. Additionally, many consumers multi-surf – watching TV while searching on their phone or tablet. They’re always looking and are eager pull the trigger. It’s important that your business adjusts for this change in behavior. Tired of returning voicemails during the day? We are not trying to eliminate complete communication with your customers, we are aiming to simplify the laser tag reservation process. People are busy and don’t have time to play phone tag (they want to play laser tag). Many of your customers would prefer to make a laser tag reservation online, when the thought arises. Often, tasks that drag on don’t get done. When a customer calls about an event or activity, you can simply tell them, in a polite way, about your new real-time reservation capability. You’ll be surprised how many say “Oh great, I’ll just make the reservation on your website. Thanks!” Some businesses are even editing their voicemail to include, “If you are trying to make a reservation, please visit our website to reserve a time.” This is a great way to promote your laser tag reservation software. Free Mobile App – Easily access your dashboard via the PlaceFull app. The app is available for both the iPhone (compatible with iPhone 6 and 6+) and Android devices. Reservation Alerts – As mentioned above, after a reservation occurs, you and the customer will both receive emails. This way, if something comes up prior to the activity or event, you’ll have each other’s contact information. You can also view the details of your reservation in your dashboard. Calendar Sync – Already use a calendar? No problem. You can integrate your existing business calendar (Google, Outlook, or iCal) with your PlaceFull calendar. Login Permissions – Nervous about staff seeing your confidential information? This totally makes sense. You can add 5 staff members to your PlaceFull account, with varying permission levels. Check out this blog post to learn more about permission constraints. 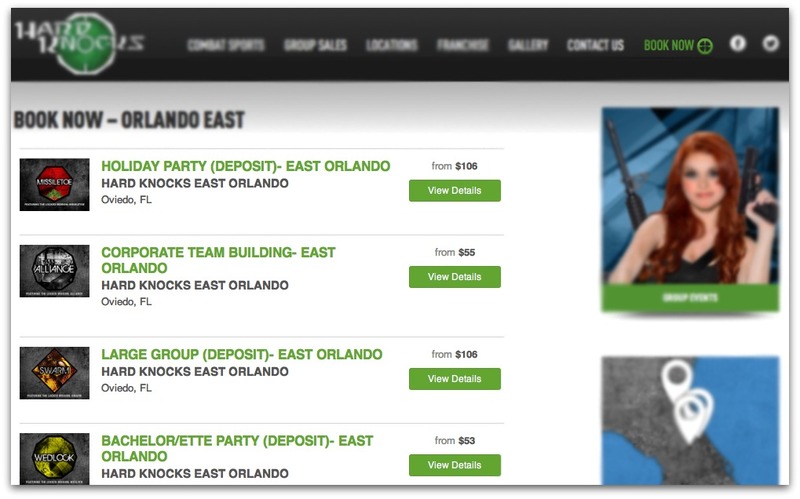 See how Hard Knocks uses PlaceFull’s laser tag reservation software! Easily edit or add new listings, instantly! No code required. 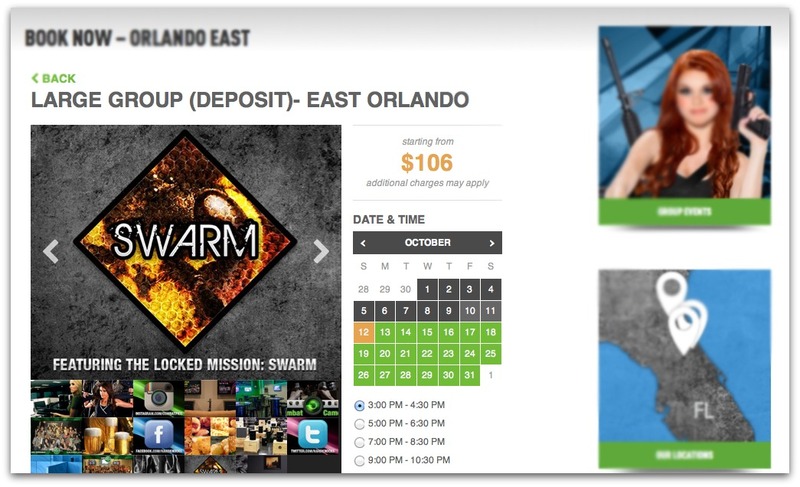 Categories: Paintball News, Uncategorized | Tags: laser tag, Reservation Software | Permalink.